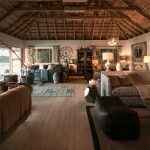 Wild, diverse and wonderfully game rich, Zambia is one of Africa’s greatest unspoilt destinations. Despite being home to one of the world’s most famous natural wonders, Victoria Falls, it is still a country that is beautifully lesser known. 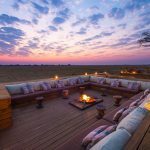 Its low-key traditional camps are honey pots to real safari enthusiasts who immerse themselves in a raw wilderness less travelled. 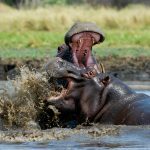 Zambia has a plethora of parks to consider for the safari enthusiast. 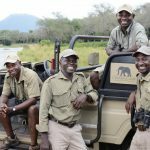 Walking in North Luangwa is an explorers dream whilst in the very south, overlapping into Zimbabwe, The Lower Zambezi National Park offers exceptional game viewing surrounding the mighty Zambezi River. This impressive wilderness is also ideal for fishing, boating and canoeing. 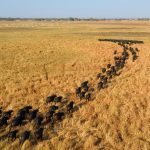 Further afield, seek out cheetah in Kafue National Park or take to Liuwa Plains which welcomes the second largest wildebeest migration in the world. The most famous national park, South Luangwa is where Zambia comes into its own. Home to pioneers of the walking safari, the most respected of heritage guiding can be experienced out and about on foot with old hand experts and award winning guides whose knowledge of the territory is unparalleled. 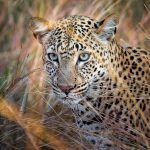 In South Luangwa, the intrepid can embrace nature walking from camp to camp past ox-bow lagoons and through vast floodplains that attract hyena, leopard, lion and giraffe. The night drives on offer only add to the excitement. One of the 7 wonders of the world, Victoria Falls or Mosi-oa-Tunya in the indigenous Tonga language, literally translates as ‘the smoke that thunders’. Its sheer power and thundering noise is utterly overwhelming. Adrenaline junkies can bungee jump through scenic nirvana, micro light over the gorges and white water raft down the rushing rivers. Taking a helicopter flight is also an unforgettable experience. In the drier months, we recommend a dip in the natural Devil's Pool at the very top of the falls. 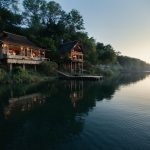 Whilst Malawi is amongst the smallest countries in Africa, its most dazzling gem, Lake Malawi, offers a surprisingly perfect alternative to the traditional beach holiday. Worlds apart and charmingly detached, crystal clear shores and rippling royal blue waters provide a Robinson Crusoe paradise.